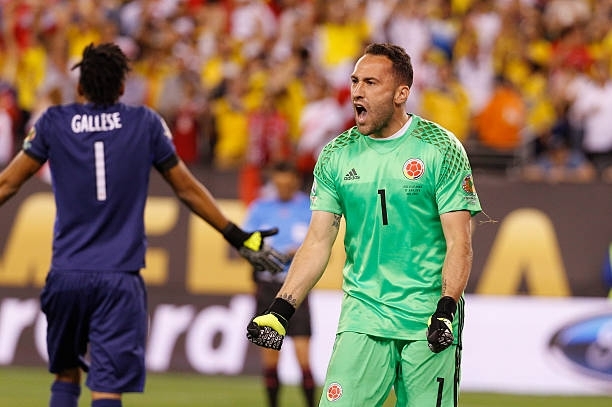 Arsenal goalkeeper David Ospina made terrible mistakes while he was at international duty for Colombia. Arsenal released most of it’s players to go back to their respect national teams so David Ospina was also in action for his home country Colombia when they faced Paraguay in order to keep their chances to qualify for the FIFA WORLD CUP 2018 in Russia. The Arsenal goalkeeper made some awful mistakes in just three minutes to gift Paraguay a 2-1 win. Check out the highlights below. Disclosure: The video above does not belong to us and credit goes to whoever made and created this video. We won’t be responsible if its taken down but we apologise if that happens. These mistakes he made may affect him when he returns to London after the international break because Arsene Wenger is a very sensitive man who takes things seriously because the Colombian goalkeeper once a made similar mistakes in a Uefa Champions League match some while a back. David Ospina is a 2nd choice goalkeeper of the gunners after Petr Cech and he usually plays less important matches that are usually in Europa League and the FA Cup.